This intensive course in Iceland focuses on energy plants and their impact on the environment. This course is a 50+ hour intensive program held in partnership with The GREEN Program and Reykjavik University's Iceland School of Energy and students from all majors are encouraged to participate. During the course students will take classes taught by faculty on topics related to sustainability, hydro power, geology, bio-fuels, and geothermal energy. The course emphasizes hands on learning and also includes renewable energy facility visits to a hydro power plant, a geothermal power plant, a wind farm and a bio-fuel location. Students will visit various energy facilities to examine their operation and better understand how these facilities impact the environment and serve society. Before each power plant visit, students will attend a lecture at Reykjavik University on power production and its role in fueling economies and its potential impacts on the environment. During the course, students also form interdisciplinary groups and develop a final Capstone Project on a specific renewable energy problem and solution which they present for evaluation at the end of the course. Students first participate in the Intensive Iceland Course Abroad and, after completion, will continue the course on Drexel's campus during winter term. Students will then synthesize their knowledge from Iceland into models that describe potential scenarios for energy development, and how energy extraction impacts the environment and society. Program Partner: This program is offered in partnership with The GREEN Program. 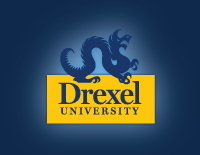 While GREEN offers other program locations, Iceland is the only Drexel sponsored option. Credit/Registration: Students will be registered for ENVS I399: Iceland Intensive: Green Energy, 1 credit (for Credit/No Credit) as part of their winter term course load. Students must leave space for the 1 credit in their winter term credit load or will have to pay for exceeding the 20 credit maximum. The 1 credit for Iceland is not optional. Optional 3 credit Add-On: Students are encouraged to also take the corresponding online course ENVS 304: Energy and Environment: Iceland, 3 credits (standard letter grade) during winter term. Pre-requisites: This program is open to all on-campus students. There are no pre-requisites. Students are fully responsible for any independent travel outside of program dates. *The GREEN Program will offer a group discount of $100 - $200 per person for 10 - 16 accepted Drexel participants. This discount will be applied as a refund from the Final Payment. Visa (if applicable) - not required for US citizens. Graduate students will be billed the normal per-credit rate for this course. Students will be required to attend a group pre-departure orientation. US Citizens are not required to obtain a visa for Iceland. Other nationalities should check the Iceland Embassy website for visa requirements. NOTE: This program departs during finals week. Students should contact their fall term professors immediately upon acceptance to the program, in order to request early final exam arrangements.